Anna & Benton Flippen. photo by erynn marshall. I guess I wanted to have a CD that, when people asked me—what is this music? —I could hand it to them, in answer. It’s hard to describe traditional music sometimes, hard to explain how deep it reaches. There’s all of these young folks who are spending their time visiting people their grandparent’s age, who are obsessing over recordings and obscure fiddlers from the 20s and 30s, who are proud to be carrying on local or family traditions. We did one session in Knott County, Kentucky, on the property of this wonderful older banjo player. It’s a rare piece of pasture in Knott County, where the hills are so close to each other. To get there, you have to literally drive your car up a creek for a hundred yards. We loaded Joe’s recording equipment into a pickup and brought it over to the house. We set up on the back porch of this cabin that was over one hundred years old. It was a beautiful summer night, raining here and there. I remember sitting on the porch as Brett Ratliff recorded “Jubilee”—it was dark, but for the light of a lamp, and he was recording, and two of our friends sat on the porch listening—two women holding their little kids in their arms, the kids sleepy after a long day. Something about that song, that old porch, the mountains all around, and the faces of these little sleeping kids— the music seemed such a natural part of that landscape. It was beautiful. A few months ago, I went to visit the grave of this great fiddler Isham Monday, in Monroe County Kentucky—he passed away in 1964. I had been learning a lot of the tunes he played from Bruce Greene—Bruce didn’t meet him either, but he spent a lot of time in that part of Western Kentucky, visiting with musicians. I wanted to see what the land looked like, to get a sense of it, to dig deep into trying to understand the tunes. I spent the day in Tompkinsville—a small town with more than one abandoned storefront. Quiet. People in town, then in the library, had no idea who Isham was… They were amused, curious, that I would come so far to find a forgotten fiddler’s grave. Bruce Greene talks about this—visiting older fiddlers who felt like no one was interested in their music anymore. And so we owe a lot to the field recorders of the 70s, who were interested, and who recorded the tunes so that we could learn them. Elizabeth: The Greenwood Sidey is in the Child Ballads collection, from the big book of versions from England and Scotland published in the 19th century. In that book, which is sort of canonical, it’s known as “The Cruel Mother.” It’s very dark, one of the darkest songs that I know. It’s obviously one of the more difficult-to-contemplate crimes, even today. I think the refrain is really poignant and illuminating, that’s she’s all alone and lonely in this situation. You know, there’s no one else: the father of these kids is not even mentioned. It’s really kind of spooky imagining a woman who has just given birth to two new people, but she’s still alone and is making sure she’s going to remain that way, and I think she’s really haunted by that decision. Even when she gets to talk to those people, they’re imaginary. They’re ghosts, they’re not quite there, so she’s alone throughout. Anna: It’s a horror story, but in some ways it can feel like a very feminist story. I remember I was learning that song and then watched this movie about the Magdalene Laundries, where people who had babies out of wedlock were shunned by their families and sent to be almost captives in these nunneries. It went on until the 70s in Ireland. It made sense to me, that there was some sort of weird strength in this cruel mother character. She would escape society because there’s so much shame on her being pregnant out of wedlock. Somehow the forces outside the forest lead her into the forest to do this awful deed. 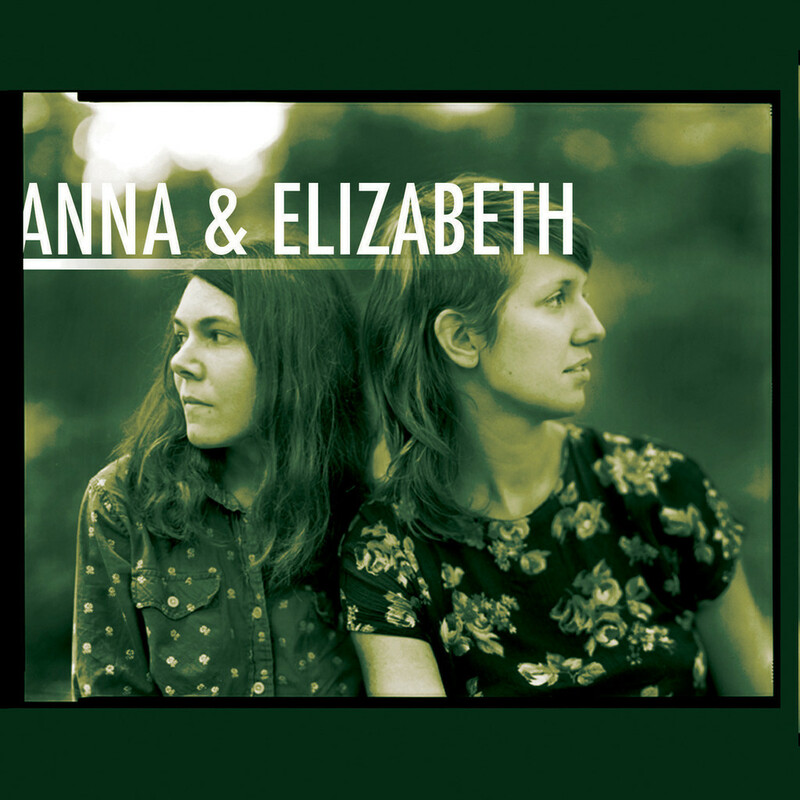 A collection of 16 traditional songs thoughtfully gathered and interpreted, Anna & Elizabeth’s new, self-titled album (via Free Dirt Records) guides listeners through the duo’s intense personal connection with each song, for a warm and intimate experience. With minimal guests and arrangements, the focus remains on the rich and subtle interplay between Anna & Elizabeth’s own harmonies and instrumentation. Fiddle and banjo lines intertwine in an age-old dance, and Elizabeth’s powerful vocals are matched by Anna’s softer timbre in their remarkably rich harmonizing. ANNA ROBERTS-GEVALT and ELIZABETH LAPRELLE are based in Southwest Virginia. They met, coming at traditional Appalachian music from different directions. Anna was in a touring old-time band. Elizabeth was singing ballads in far-away states. They came together to create a different kind of show: one that used theater and stories to show people what they love about old tunes and ballads. They also knew that keeping the music in the mountains–playing in their communities, playing for schools–was part of the job. With that, they set about making crankies, and learning stories, and trading songs and tunes. 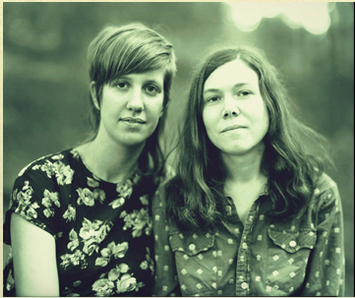 Anna & Elizabeth honor Appalachian artistry and shed new light upon tradition. They have made their most compelling work to date in their new self-titled album on Free Dirt Records. A collection of 16 traditional songs thoughtfully gathered and interpreted, the album guides listeners through the duo’s intense personal connection with each song, for an experience that is as warm and intimate as their one-of-a-kind live performances. Soaring through rousing old-time dance numbers, haunting Appalachian ballads and lilting lullabies, Anna & Elizabeth showcases the incredible vocal capabilities of both LaPrelle and Roberts-Gevalt, and shimmers with breathtaking moments of harmony, all laid atop masterfully executed instrumentals. A record equally as invigorating as it is contemplative, Anna & Elizabeth allows for the prolific talents of these two young women to shine brighter than ever before. Anna Roberts-Gevalt and Elizabeth LaPrelle have been experimenting with ways to express traditional Appalachian culture through the folk arts. And they’ve found their muse with the old-fashioned “Crankies”. These are kind of like hand-made movies, but rather than film, they’re made with felt and cloth. Together, Anna & Elizabeth sew and assemble a long roll of felt covered with characters and artwork that depict a traditional story or ballad. They’ll load this roll into a wooden viewer, and using a hand crank, the felt roll scrolls by in front of a window on the box. When they place a light behind the window, the light shines through the scroll and lights it up from behind. It’s so entrancing to watch that it’s easy to lose sight of what we’re seeing. Each “frame” is comprised of intricate paper cut-outs attached to a felt cloth. Crankies aren’t very common these days, but they used to be a form of old-fashioned movies that spread in New England and the South. Anna Roberts-Gevalt happened on the Crankies in her home state of Vermont, and there’s actually a Crankie festival out there. Both Anna and Elizabeth have spent so much time exploring the traditions of the Appalachian Mountains, that the Crankies have become one of their preferred ways to spread their knowledge. What inspired you to want to record this younger generation of musicians? Anna Roberts-Gevalt: I’d been daydreaming about ways to document all that is happening around me, with this music. This is a beautiful tradition of music, stories, and fellowship. I feel really lucky to have stumbled onto it. I guess this project, for me, came out of the desire to celebrate and share what is happening—at festivals, at house parties, in the quiet of people’s homes, too—these young people who, for one reason or another, have decided to pursue a particular vein of music. It’s unusual. It’s out of the ordinary, in this day and age. It’s not necessarily stage music, it’s music of everyday life. So not everybody knows this is happening, and I guess I wanted to have a CD that, when people asked me—what is this music? —I could hand it to them, in answer. It’s hard to describe traditional music sometimes, hard to explain how deep it reaches. There’s all of these young folks who are spending their time visiting people their grandparent’s age, who are obsessing over recordings and obscure fiddlers from the 20s and 30s, who are proud to be carrying on local or family traditions. And I felt that a CD, and accompanying interviews, would be the perfect introduction for the uninitiated. There is some acoustic music and folk music out in the mainstream, but much of it is only loosely or tangentially based in the Appalachian tradition. We really wanted to celebrate the young folks who have truly studied the tradition, who are a link in a long chain, who have dug deep and immersed themselves in the stories and songs, and I guess I wanted to create a project that could get their voices out there.